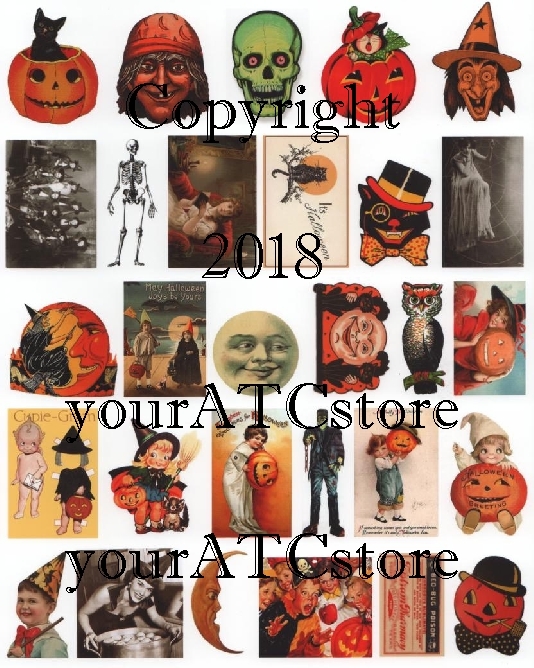 yourATCstore Fun Halloween Ephemera Collage Sheet #1. This Halloween sheet was designed for making ATCs with 29 fun Halloween images for you to create with. This matte finish collage sheet is professionally printed and comes in a crystal clear bag for protection. Each collage sheet measures 8 1/2" X 11" and is acid free.